"Our Equipment Works Hard So You Don’t Have To." 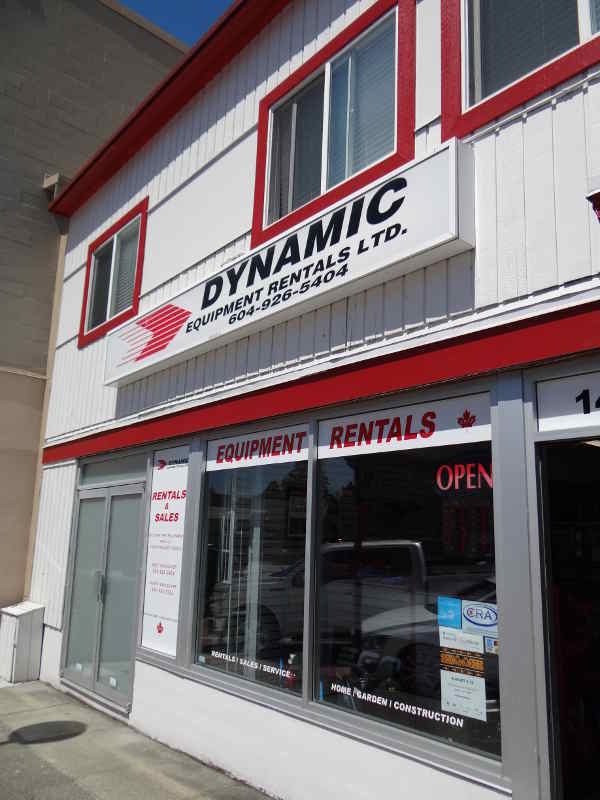 Dynamic Equipment Rentals is a locally owned equipment rental and sales company with roots dating back to 1972 on Vancouver’s North Shore. Our commitment is to maintain the highest level of customer service while offering high quality, innovative products at competitive pricing. We have an impressive inventory of tools and equipment to serve a wide range of customers including construction, restoration, landscaping, film production, home improvement and government. 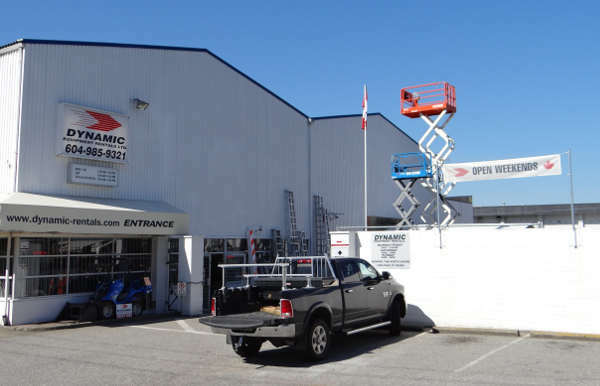 Dynamic Equipment Rentals offers a large selection of name brand equipment for rent, plus we offer sales of new equipment, safety supplies and consumables for all your home or industrial projects. Stop by one of our three convenient locations in North Vancouver, West Vancouver or Port Coquitlam and you will be greeted by friendly and knowledgeable staff. We are open weekends, offer a full Service Department, and delivery is available. If you require any assistance or have questions regarding equipment for your next project we invite you to stop in or call us. Whether you are building, maintaining, or dealing with an emergency, we are here to help you. Our team of rental specialists is committed to making Dynamic Equipment Rentals your rental equipment supplier of choice.